1// Katniss is a unique female character — I really like Katniss. She isn’t your typical “tomboy” character. She’s cold, calculating, and entirely practical. With a detached personality that has depth and dimension, she makes for really interesting first-person reading. 2// The POV and present-tense make for in-the-moment story telling — At first, I didn’t know how I was going to like the first person point of view combined with majority present tense prose. As the first chapter wound on, though, I really found myself in the moment right with Katniss as things were happening. It was an unusual choice for Collins, but I think it was the right one for this particular story. 3// There are obvious differences between book and movie — I was one of the few who saw the movie before picking up the book. 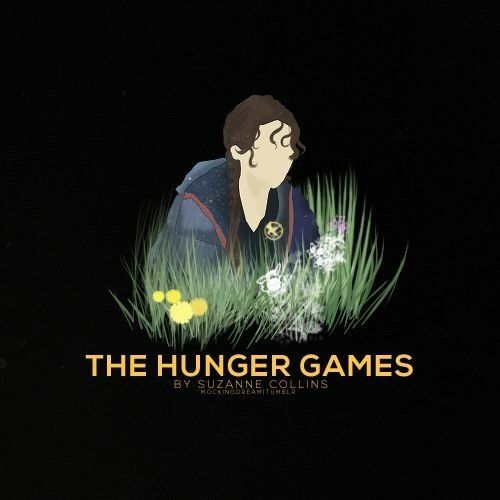 I was pretty skeptical about The Hunger Games, as I am about most fads and obsessions with the public media, but I was very impressed with the movie. I knew there would be differences between film and page, but I really like that. I like experiencing a different version of the same story. 4// Despite description differences, it’s hard to separate the actors from the characters — I know that many people are able to separate their movie-viewing experience with their reading experience, but I have a hard time with that. The book describes Katniss a bit differently than the actress who plays her in the movie. It’s difficult for me to see the book character as “looking” different in my head because of seeing the movie first. 5// I’m enjoying the greater depth and history present in the book — I’m a huge setting person. I’m really enjoying learning more about Panem and the history of the districts. I love depth and an example is this: In the movie when Katniss volunteers for her sister Prim, the assembled crowd kisses their first three fingers before raising them in the air. The book tells you what that means! Love it. So, I know I’ve been bad for delaying my Hunger Games reading, but I promise I’ll try to finish them soon and provide detailed reviews. Without giving away spoilers, what are your thoughts on The Hunger Games trilogy? Did you love them? Hate them?